Resources to improve your logistics operations and supply chain efficiency. The Coyote team recently attended several big industry conferences, including Retail Industry Leaders Association's (RILA) LINK2019 and Food Shippers of America. 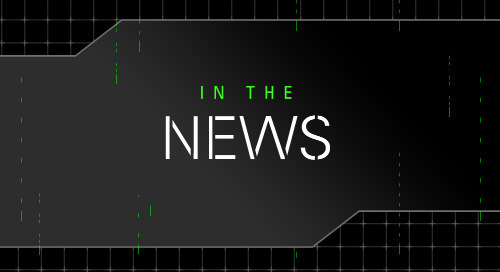 While topics at these shows ranged from “Reshaping the Supply Chain with AI” to “Carrier & Shipper Collaborative Victories”, and everything in between, one major theme rose above the rest: service. In this current climate of extremely aggressive rate action from new providers and asset carriers alike, the shippers we spoke to expressed some fear about jumping too quickly or too deeply into new relationships. Instead, they’re looking for higher levels of service from proven providers. But what does “higher levels of service” mean in today’s modern supply chain? The days of Standard Delivery is over. Increasing consumer demands and the “Amazon effect” means that people want what they want and they want it now. To achieve that level of expedited service, everyone along the supply chain needs to work more efficiently and provide greater visibility. These days, visibility is hard to achieve without everyone involved – from the shipper to the 3PL to the carrier – adopting new technology. 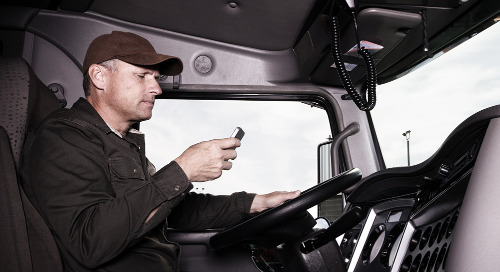 With ELD tracking and EDI/API connectivity, visibility into not just individual loads, but an entire supply chain is possible with the right tools in place and the right experts there to empower that technology to help identify areas of underperformance, chokepoints and elevated costs. To learn how one Coyote shipper streamlined their supply chain with an API connection to more seamlessly quote thousands of daily spot shipments, click here. Getting all parties on the right technology to make the entire supply chain more efficient is just part of the equation. If you don’t clearly communicate your requirements to carriers and providers upfront, it can be difficult for them to deliver on the service levels you expect. The more transparent you can be, the more likely you are to be satisfied – and ultimately the more satisfied your customers will be too. Communication is a two-way street though, and everyone needs to be an active listener. A dedicated rep or team can help to bridge the gap between your needs and a carrier’s ability to deliver on them. As the market shifts from “Shipper of Choice” to “Carrier of Choice” and back again, all sides need to implement a long-term strategy built on collaboration, communication and a customer-centric approach. Learn more about how Coyote takes a customer-centric approach, click here. You may define “high service” as consistent on-time delivery and better network visibility, while other shippers may put more emphasis on controlling costs and having flexible partners. Although most shippers likely will require a balance of all of these, each organization’s supply chain is unique because each customer they service is unique. The “Netflix approach" to personalizing every consumer experience is shaping the way we do business. To achieve a truly personalized or customized supply chain, that requires taking more than a one-size-fits-all approach. You’ll need the resources, expertise, capacity and data to seamlessly shift as and when needed from short-term capacity to long-term agility. Work with providers that get to know your business and can scale up and down with you (and the market). And don’t just integrate technology, implement data intelligence. 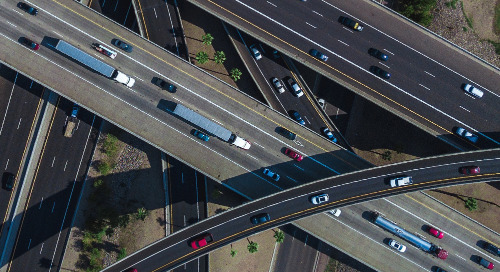 Whether using micro-level data from a transportation management system (TMS) to customize the output of your forecasting and reporting, or using macro-level data – like the Coyote Curve – to customize your annual supply chain plans based on market projections, find the custom solutions that fit your business needs. To read about how Coyote helped a national tire distributor build a custom solution by tapping into UPS’ asset network, click here. According to recent industry conferences, 2019 is turning out to be the year of service. That means you need a provider whose strength lies in a dense network of carriers, scalable multi-modal solutions and the data intelligence required to build custom and proven supply change solutions for your business, regardless of size or complexity. We're sharing tips for truck drivers to stay safe in honor of National Distracted Driving Awareness Month. Coyote explains the three different types of dedicated freight options from UPS available to network carriers. 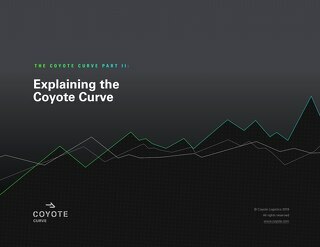 Breaking down the Coyote Curve, from the proprietary data we analyze to the economic indicators we use build to confidence in our market forecasting model. Be prepared for produce season with Coyote's infographic on five need-to-knows for this coming season. 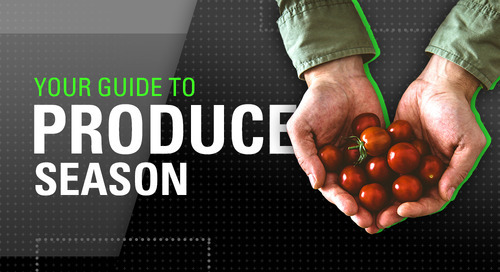 Learn about produce season and its effect on the truckload market with Coyote's shipper produce guide.